In of the final actions of the 2014 legislative session, Senate Highways Committee Chairman Willie Simmons(Cleveland) and House Chairman Robert Johnson(Natchez) marshaled support for State Aid roads and areas of critical need for MDOT improvements in the State’s transportation system. In addition to needed access improvements on Highway 25 in the Jackson area, and other critical access needs, the Transportation Appropriations Bill identified funding and directed MDOT to proceed with road improvement and construction projects throughout the Mississippi Delta. Among those identified were as follows: astudy on monorail transportation in Tunica and DeSoto counties; upgrades and maintenance on Highway 32 in Parchman, from Highway 49 West to Highway 61; repair and upgrade of Highway 14, at Rolling Fork, MS, repairs toParks Road in Drew, MS; installation of flashing lights at the intersection of Highway 450 and Highway 61; maintenance enhancements on Highway 14 in Sharkey County; continued construction on the U.S. Highway 82 bypass from the Mississippi River to Leland area; construction of an access road entering the site of theGrammy Museum located on the Delta State University Campus; I-20 Railroad Bridge Extension in Warren County. “Senator Simmons, who represents Bolivar and Sunflower Counties, was a pivotal figure in bringing together all competing interests on the large transportation bill and making certain that the Mississippi Delta region received emphasis in those areas of most critical needs,” statedWalton Gresham, Chairman of the Delta Council Highways and Transportation Improvement Committee. House Members Willie Bailey (Greenville), Linda Coleman (Mound Bayou), and John Hines (Greenville) stepped forward and offered the necessary support to bring about a House-Senate compromise that was able to muster the necessary votes for final passage. “We are fortunate that our membership of the Delta Delegation of the House and Senate seek to work together across legislative district lines in order to make things happen toward the improvement of transportation in this region, and on behalf of Delta Council, we owe all of these members our appreciation,” concluded Gresham. After the economic downturn of 2008-2012, the Mississippi Legislature has gained a renewed commitment for Higher Education and included the Division of Agriculture-Mississippi State University in increased funding for the second consecutive year. 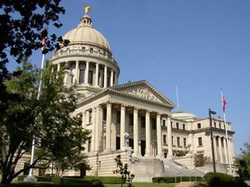 “We are grateful to legislative leadership of the House and Senate for making certain that the Extension Service, the Experiment Station system, the College of Veterinary Medicine, and the School of Agriculture participates in the growth of State services, and in Northwest Mississippi there is no service more important to this region than that offered by the 4 units of the Division of Agriculture,” stated Gibb Steele, the Washington County farmer who serves as President of Delta Council. In both Fiscal Year ’14 and Fiscal Year ’15, House ChairmanHerb Frierson (Poplarville), Senate Chairman Buck Clarke (Hollandale), Lt. Governor Reeves and SpeakerGunn upheld their commitment to continue growing the agricultural research and education programs of Mississippi State University with the aim of capacity-building for the farmers and ranchers of the State of Mississippi. “Although the adjustments and increases made in the Division of Agriculture budgets at Mississippi State could not have occurred without the strong support of ChairmanFrierson, the Lt. Governor, the Speaker, and the Governor, I would be remiss if I did not acknowledge our personal appreciation to my State Senator, Chairman Buck Clarke, of Hollandale, as he recognizes that the business of agriculture in his region of the State is possibly the largest agri-industrial complex of public-private partnerships in the Nation,” emphasized Steele. Below is a link to the additional funding provided to IHL-Agricultural Units. A measure passed the Mississippi House and Senate which would prohibit the transportation of wild hogs and enforce a Class II felony for those who were found in violation. Chairman Scott Bounds (Philadelphia) and ChairmanGiles Ward (Louisville) lead efforts to craft a measure that will deter the future transport of wild hogs, while we work with wildlife officials and landowners to develop other methods for the population explosion which we are experience with wild hogs in Mississippi today,” statedAustin Jones, the current President of Delta Wildlife. After Delta Council leaders and other organizations directed attention to current policies of the Mississippi Department of Revenue (formerly the State Tax Commission) relative to the collection of sales tax on nature tourism, and following the introduction of a corrective measure by State SenatorRobert Jackson of Marks, the Legislature took action to remedy the tax disincentive for the promotion of nature tourism. 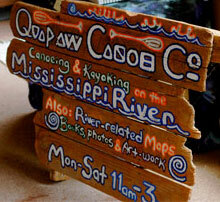 Specifically, businesses such as theQuapaw Canoe Company, headquartered in Coahoma County, which provides guided tours of the Mississippi River, were required to take sales taxes on the guided tours, even though there is a federal pre-emption of charging State taxes on businesses operating along the inland waterway system. “The Staff of Lt. Governor Reeves stepped forward and his offices offered the leadership for Senator Jackson’sproposal to clarify the intent of State laws related to nature tourism, and consequently, we will be able to maintain and possibly even expand such businesses along the Mississippi River in the future,” stated Ron Hudson, the Executive Director of the Coahoma County Industrial Foundation and a proponent of the efforts made by Lt. Governor Reeves and Senator Jackson to direct the Department of Revenue to lift this tax burden off of nature tourism. Below is a link to Section 1 (m), of SB 2972. Behind the leadership of Don Underwood and the Mississippi Soil and Water Conservation Commission, and with the support of top House and Senate leaders, including Speaker Philip Gunn and Lt. Governor Tate Reeves, $2.2 million was included in the State bond allocation for the Mississippi Soil and Water Conservation Commission. These funds will begin steps towards addressing the highest priority needs of dam safety and renovation throughout the State. “The Mississippi Soil and Water Conservation Commission has been working with the Mississippi Department of Environemental Quality, Delta Council and other groups for several years in order to begin the long-term process of rehabilitating the dams in the Hillside areas which protect the watersheds that fall into the Mississippi Delta, depositing huge volumes of sediment and consequently impeding drainage. The Delta is grateful to Don and those members of the Legislature who have assumed the responsibility and exhibited the foresight to rehabilitate this infrastructure so that we avoid a disaster, such as that which almost occurred in Lamar County in recent years,” statedGeorge King, the Chairman of the Soil and Water Resources Committee of Delta Council. Behind the leadership of Lt. Governor Tate Reeves, the Mississippi Historic Tax Credit Program, which has been enormously successful for the restoration of the main street corridors of downtown Mississippi, has been extended through 2017. 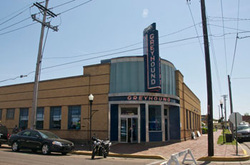 More than $200 million of private investment has been made in downtown areas such as Meridian, Clarksdale, Greenville, and other communities throughout the State of Mississippi, utilizing the State’s tax credit provisions and although there were numerous obstacles in the 2014 legislative process, after adjusting legislative procedures to accommodate the passage of the Historic Tax Credit measure, Lt. Governor Reeves led the initiative to gain final passage. Special appreciation should be extended to the Mississippi Department of Archives and History and to the Mississippi Heritage Trust for their leadership in advocating the extension of this tax credit. Section 18, of HB 1481 provides funding for Phase 1 of the Mississippi Delta Medicaid Population Health Demonstration Project. SB 2065 amends the Corporate Franchise Tax Law to exclude deferred gains and deferred income on certain inventory. In MS Senate Bill 2881, $100,000 in support for cultural and heritage activities of the Mississippi Delta National Heritage Area was included.